Ewell traders, the Residents’ Association and Ewell Grove School are today urging all residents across Epsom & Ewell to vote for improvements to The Grove at local Tesco stores until 13 November. The improvements would see a re-design of The Grove entrance and crucially the replacement of the horrible broken phone box with a traditional red one which would be used as a micro Childrens’ Library, looked after by local café, All Things Nice. The project is being run as a partnership of Ewell Grove School, the Ewell Traders’ Association and Ewell Residents’ Association. It hopes to tap into the Tesco Bags of Help fund set up using the 5p the supermarket collects from the carrier bag charge and uses it to support local causes. The project stems from a survey of traders in the village carried out by Town Centres Manager, Alanna Coombes. It showed strong support to improve the entrance to this pocket park in the heart of the village. “The Grove is an ancient burial ground, a pocket of peace in the heart of the village, the walkway to the school and a pleasant cut through to the shops. So it’s vital to the village and yet its entrance doesn’t do it justice. 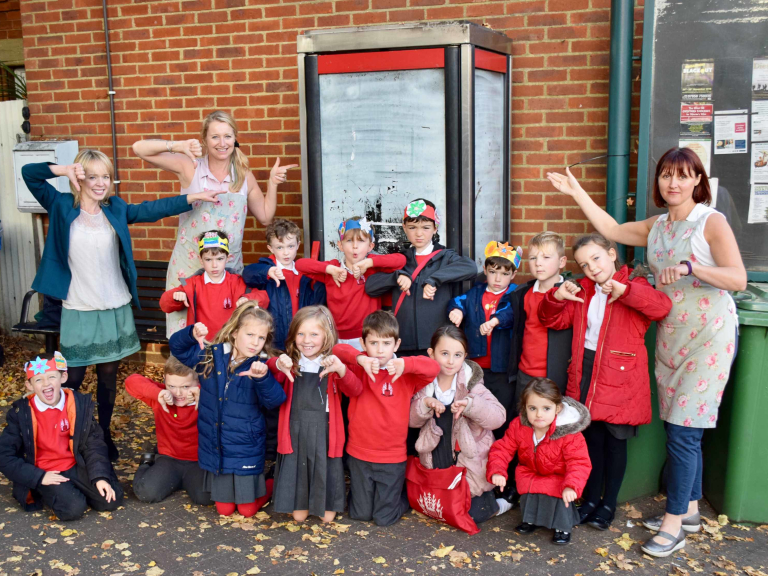 “The need for change – especially of the horrible phone box – is ringing bells with lots of businesses and residents in the village. The children are really keen on the idea of the micro library which we think could be a real asset to the village. “We are asking all residents to ask for a blue token and cast their vote to improve our village”. Voting starts today and runs until 13 November at the following Tesco stores: Leatherhead Superstore, Ruxley Lane, Epsom Station, Ewell petrol station, Horton Express, Banstead Express and Ashstead Craddocks.